You probably don't need SampleRadar to tell you that the drums are an essential element of a techno track, but in case you do, allow us to inform you that drums are an essential element of a techno track. There are beats and hits aplenty for you in this week's bundle, plus a collection of FX stabs. 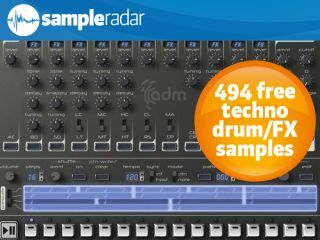 The techno drum and FX samples are split into four folders, each of which is labelled according to the samples contained within it. The techno drum and FX samples are supplied in a zip file, so you'll need to extract them before you can see them. Enjoy!